Wanju Middle School Students send gratitude to CEO of Biocera, Dr. Jeon Hyoung Tag for supporting their studies as an appreciation. Biocera Corporation is participating in The Water Quality Association 2018 Convention & Exposition. Biocera Corporation will help you discuss technical issues and business for further plans on Biocera balls, AHA (Antioxidant Hydrogen Alkaline) water and AA (Antioxidant Alkaline) water. Biocera Corporation is participating in KIMES 2018. Biocera Corporation is participating in AQUATECH AMSTERDAM 2017. Drinking AHA (Antioxidant Hydrogen Alkaline) water and AA (Antioxidant Alkaline) water which gives abundant minerals such as Mg, produces abundant hydrogen which removes free radicals, alkalizes pH level and lowers ORP (to negative). HK Gifts & Premium Fair held in HongKong from 27th to 30th April 2017 (27 - 30, April). 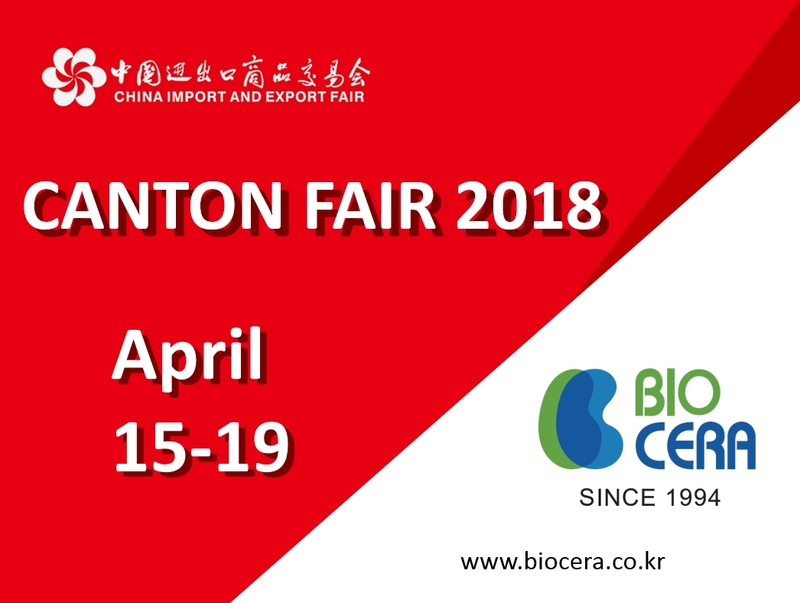 BIOCERA booth number is 1A/F16. 2017 WQA Convention in Orlando orange county on 29 ~30 March 2017. Aqua World 2016 is Exhibition on Process, Drinking and Waste Water. Aquatech India 2016 to be held on 17-19 August 2016. World of Aqua remains an exhibition and conference dedicated to bringing together water technology professionals involved in process, drinking and waste water. The sixth edition of Aquatech India 2015 takes place from 11th to 13th August, 2015 at Pragati Maidan, New Delhi, India. It is the leading trade exhibition for process, drinking and waste water. This exhibition offers you an exceptional business networking in this dynamic sector. Hi. Dr Jeon visit Poland- Krakow & Warsaw - 20~25, July for celebrate Anna 10'th establish & presentation about Antioxidant, Alkaline ion, Catalyst medias. Thank you.